One of my favorite go-to drinks is the mojito. This classic Cuban cocktail is the perfect mixture of rum, lime juice, and mint. It’s refreshing and light. Perfect after a long day of working in the yard. 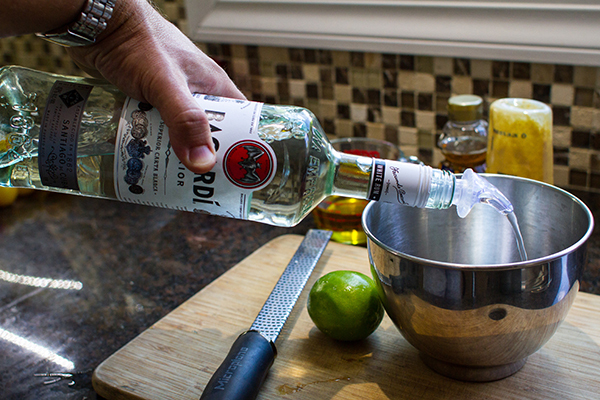 The next best thing besides a mojito in my glass is a mojito inspired marinade. Shrimp are a great recipient, as they are quick to take on flavor in a very short amount of time. When drinking light, eat light. 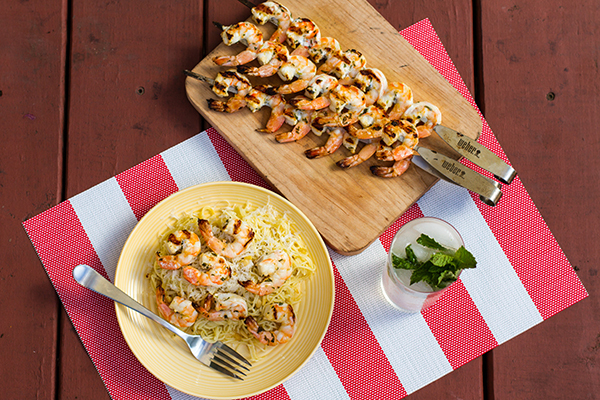 This citrusy summer marinade is packed full of flavor. 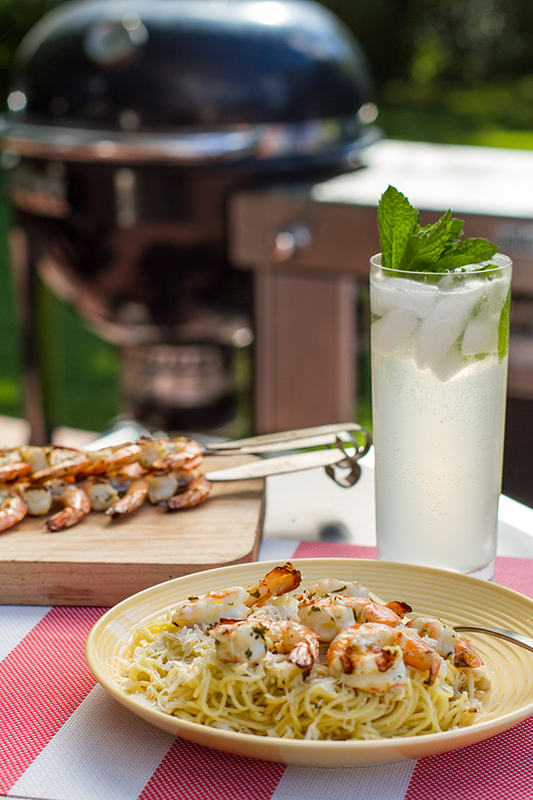 Like my chilled mojito, these shrimp are not to disappoint. 1. 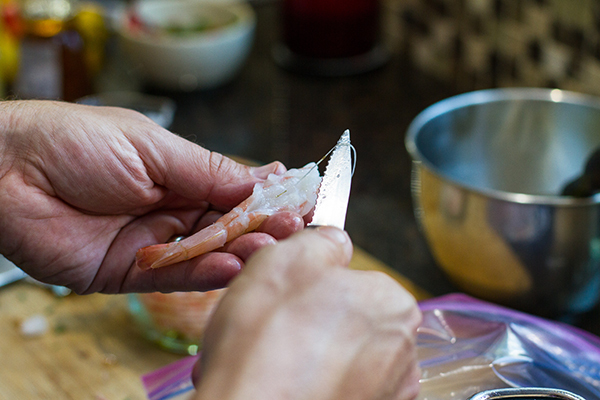 Prepare the shrimp by peeling the shell. For presentation purposes, I like to leave the tail. Note: For convenience, I’m a huge fan of flash frozen shrimp. They taste great and only take a few minutes to defrost under cold water. 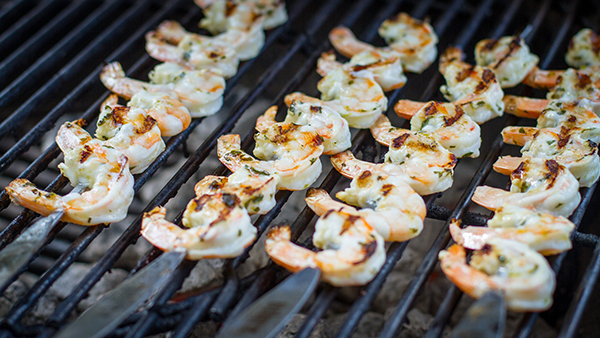 They are perfect for a last minute grilled meal. 2. Devein the shrimp by making a shallow slice across the back of the body. Remove the long black vein. 3. Keep in mind, not all shrimp may have one. 4. In a bowl, mix together the rum, lime juice, lime zest, mint, dijon mustard, salt, and honey. Slowly whisk in the olive oil to emulsify. 5. 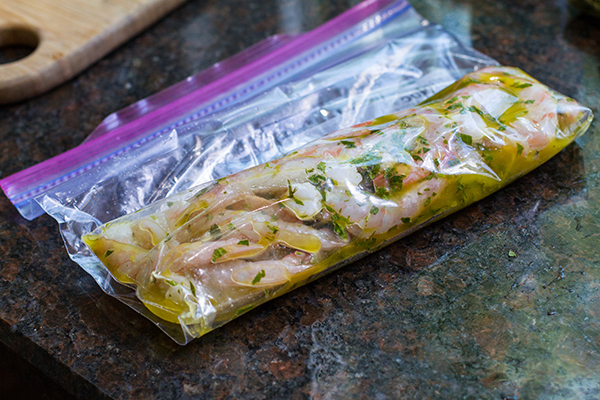 Place the shrimp in a resealable plastic bag. Add in half of the marinade. Remove as much air as possible from the bag and seal. Place in the refrigerator to marinade for no more than an hour. 6. 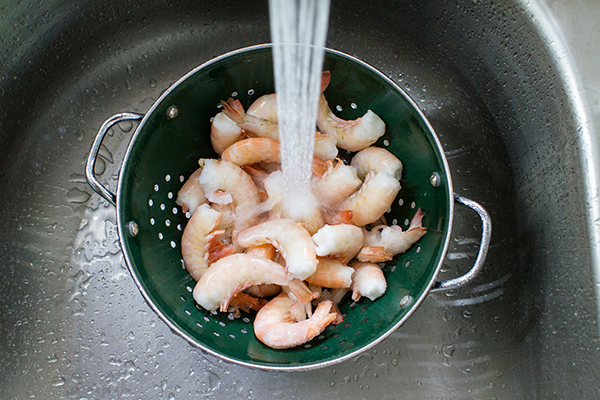 Remove the shrimp from the marinade and pat dry with paper towels. 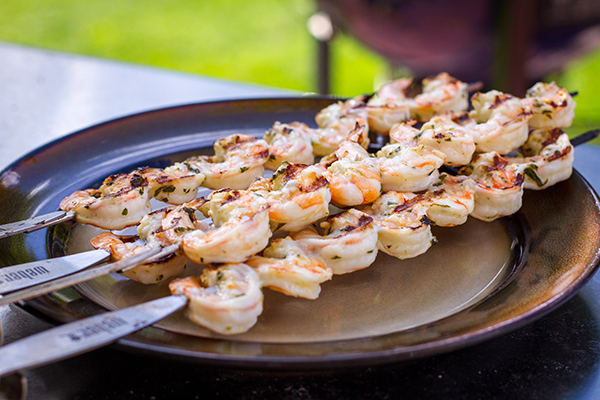 For ease in grilling, I like to use skewers when preparing shrimp. It makes them easier to handle on the grill. No skewers? Consider a grill pan. 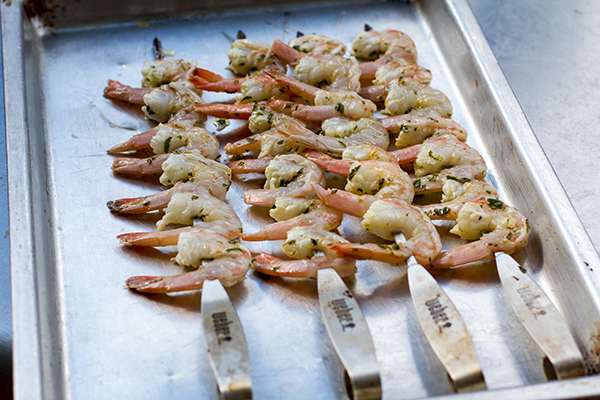 Thread a skewer through each shrimp twice. 7. Grill over direct medium-high heat for 2-3 minutes a side, turning once. 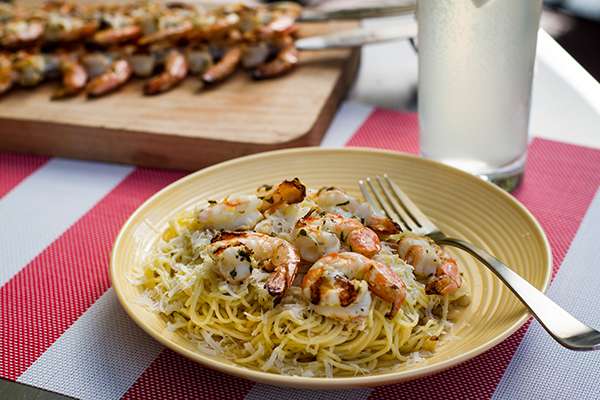 Tip: For more flavor, toss cooked angel hair pasta with remaining marinade. Add pine nuts and top with Reggiano cheese. Oh, and of course, serve with a fresh mojito!